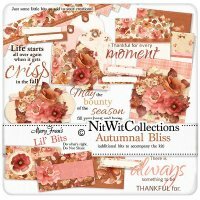 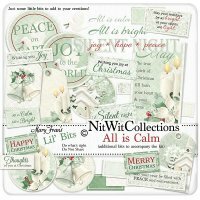 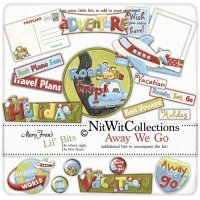 The Lil Bits section contains premade digital scrapbooking elements, SMASH book scrapbooking elements and/or extra elements for the co-ordinated Collections in our store. 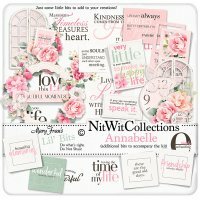 These premade element clusters and word tags can save you loads of time when creating, as the work has already been done for you! 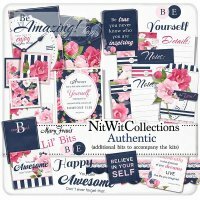 Use these with your digital scrapbooking kits, digital SMASH book ideas and card making supplies to add in those little extras that make your creations shine. 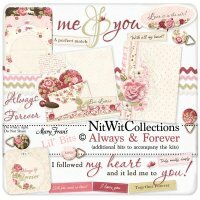 Once you find a Lil Bits that you MUST HAVE, don't forget to scroll to the bottom of the page that will show the remaining co-ordinated products for this particular Collection!